C.J. 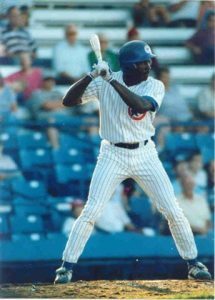 Stewart is an Atlanta native and a former Chicago Cubs outfielder. He has earned the recognition of being one of the top baseball player development professionals in the country. As the founder and CEO of Diamond Directors (www.diamonddirectors.com), Stewart has achieved unmatched success in the player development industry. He has over 13 years of experience and his firm has developed some of the game’s top amateur, collegiate and professional players. Stewart’s impressive client list includes Jason Heyward (Chicago Cubs), Dexter Fowler (Chicago Cubs), Andrew Jones (Chicago White Sox), and Andrew McCutchen (Pittsburgh Pirates). Stewart grew up in one of Atlanta’s most dangerous housing projects, Hollywood Courts/Hollywood Brooks. His story is a perfect example of the phrase, ‘where you start doesn’t determine where you finish’. Although statistically the odds were stacked against him, Stewart used the sport of baseball to transcend statistics and become a compassionate, engaged member of his community while having an international impact in player development. Through the help of kind strangers in his community, he was able to play competitive baseball in high school and ultimately showcase his talents in front of college programs. This exposure led to a baseball scholarship at Georgia State University and an opportunity for Stewart to be drafted by the Chicago Cubs organization as well. The opportunities that he had came from people in the community noticing his talent, and helping him access the necessary resources to help him use his talent to beat the odds. 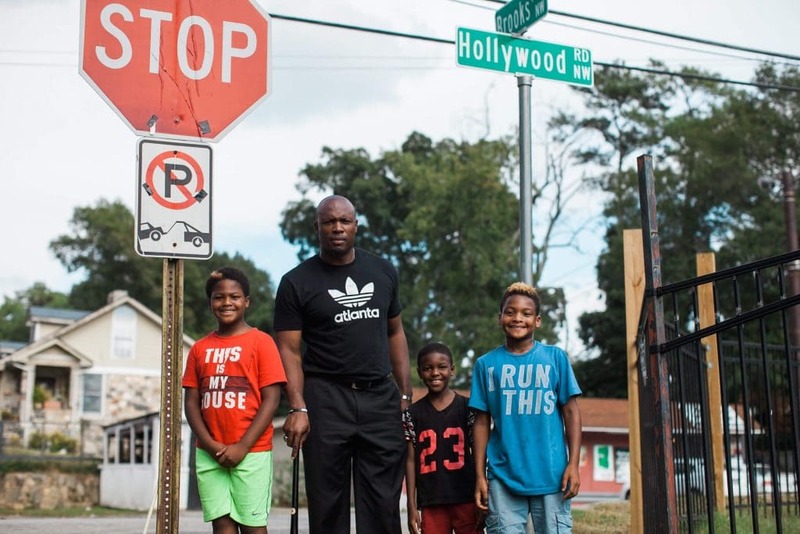 Now Stewart and his wife Kelli, who serves as the Executive Director, are doing the same for inner city youth in Atlanta through their non-profit organization, L.E.A.D. (Launch, Expose, Advise, Direct). L.E.A.D.’s mission is to create positive outcomes for at-risk, minority, inner-city youth by leveraging the relationship between education, athletics and service. Through year round programming, Stewart is providing deserving inner-city youth with a pathway to high school graduation, college access and career opportunities. L.E.A.D. is developing a fraternity of youth called Ambassadors: college bound, civically engaged student-athletes who are prepared to be positive change agents in their communities and world. Like Stewart’s family, the families that L.E.A.D. serves lack the resources to create positive outcomes for their children, but through L.E.A.D., these deserving families have a proven system that is creating a formal pipeline from inner city baseball fields to colleges and businesses all over the country. To date, 100% of L.E.A.D’s Ambassador Student-Athletes have graduated from high school and enrolled into college while 92% have received college baseball scholarship opportunities. Stewart’s way of saying ‘thank you’ to those who helped him stay on the right path is to pay his blessing forward by creating empowering opportunities for Atlanta youth to live significant lives today and into the future.